Take advantage of recreation opportunities such as bicycles to rent or take in the view from a terrace and a garden. Additional features at this apartment include complimentary wireless Internet access, concierge services, and a picnic area. Featured amenities include express check-in, express check-out, and luggage storage. A roundtrip airport shuttle is provided for a surcharge (available 24 hours), and free self parking is available onsite. With a stay at Porto In Hotel in Kotor, you'll be a 1-minute walk from Kotor Bay and 8 minutes by foot from St. Triphon Cathedral. This 4-star hotel is 11.3 mi (18.2 km) from Jaz Beach and 15 mi (24.2 km) from Becici Beach. With a stay at Hotel Cattaro, you'll be centrally located in Kotor, steps from Kotor Bay and 3 minutes by foot from St. Triphon Cathedral. This 4-star hotel is 11.6 mi (18.7 km) from Jaz Beach and 15.3 mi (24.6 km) from Becici Beach. Relax at the full-service spa, where you can enjoy massages. Additional features at this inn include complimentary wireless Internet access, concierge services, and babysitting/childcare (surcharge). Guests can catch a ride to nearby destinations on the area shuttle (surcharge). Enjoy recreation amenities such as bicycles to rent or take in the view from a terrace. This apartment also features complimentary wireless Internet access, concierge services, and a picnic area. Make yourself at home in one of the 4 air-conditioned guestrooms. Complimentary wireless Internet access is available to keep you connected. Bathrooms have bathtubs or showers and complimentary toiletries. Take in the views from a terrace and make use of amenities such as complimentary wireless Internet access and concierge services. Make yourself at home in one of the 10 air-conditioned rooms featuring kitchens with refrigerators and stovetops. Rooms have private balconies or patios. Flat-screen televisions with cable programming provide entertainment, while complimentary wireless Internet access keeps you connected. Conveniences include desks and separate sitting areas, and housekeeping is provided daily. Enjoy recreation amenities such as bicycles to rent or take in the view from a terrace. Additional amenities at this hotel include wireless Internet access (surcharge) and a fireplace in the lobby. 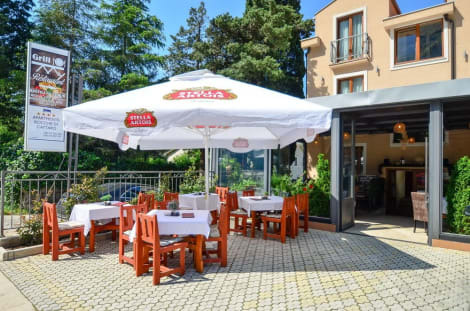 You can enjoy a meal at the restaurant serving the guests of Studios Vuckovic, or stop in at the grocery/convenience store. Wrap up your day with a drink at the bar/lounge. 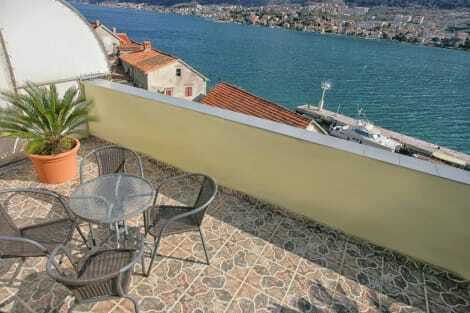 With a stay at Apartments Bella Vista in Kotor, you'll be near the beach, within a 10-minute drive of Kotor Bay and Church of the Nativity of the Virgin Mary. This apartment is 12.7 mi (20.4 km) from Jaz Beach and 16.3 mi (26.3 km) from Becici Beach. lastminute.com has a fantastic range of hotels in Kotor, with everything from cheap hotels to luxurious five star accommodation available. We like to live up to our last minute name so remember you can book any one of our excellent Kotor hotels up until midnight and stay the same night. We search from 120,000 hotels worldwide to find you the best deals. Find the same hotel cheaper within 24hrs when booking with us and we'll give you the difference. Need help with your booking? This website is property of BravoNext, S.A headquartered in Vicolo de' Calvi, 2, 6830, Chiasso, Switzerland (Company/VAT num. CHE-115.704.228), a company belonging to lastminute.com group. © 2019 - All rights reserved. The services provided on this website are made available by lastminute.com group and its Partners. Flight-inclusive holidays are provided by BravoNext, S.A. and are protected under ATOL licence (11082). Non-licensable packages are also sold by BravoNext S.A. and are protected under ABTA scheme of financial protection (Y6407). "lastminute.com", "lastminute", "LM", "Top Secret Hotels" and "Top Secret" are all registered trademarks owned by a company of lastminute.com group. Bravonext, S.A. is not responsible for content on external Web sites.